Why do Science Teachers Leave a School? 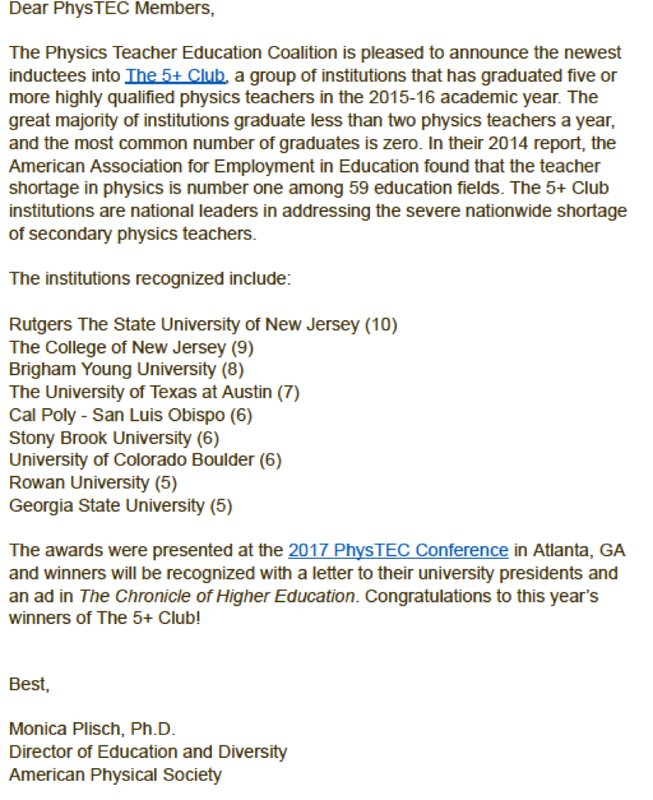 Numbers Say: The High School Physics Teachers Shortage Will Be Fixed In 130 Years. in 2013 about 40 % of high school students took a physics course. in 2013 there were close to 16,000,000 high school students in the U.S. That would give about 4,000,000 graduates. Forty percent of this number is equal to 1,600,000 students. The more accurate number is 1,400,000; in 2013 this many high school students were enrolled in a physics course (thank you David Meltzer for finding out this information: see Appendix I). Let’s use a very conservative estimation. 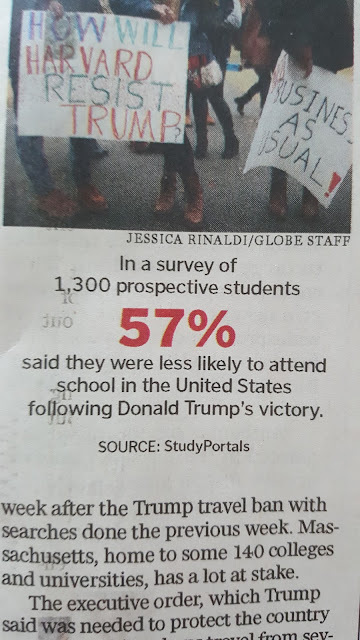 Let’s assume that each class had 30 students, and one teacher was teaching four classes. That gives us about 11,666 physics teachers. Which means, high schools need to hire about 7,777 properly prepared high school physics teachers. According again to PhysTec coalition, the members of the coalition graduate about 60 teachers per a year. 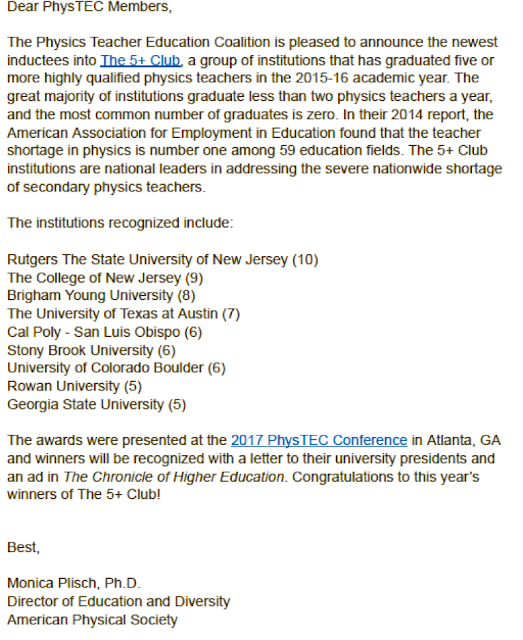 Keeping this pace, we need to wait for about 130 years until every high school in the U.S. will have a highly qualified physics teachers. Please, note: we only talk here about a high school level, only about physics, and only about 40 % of students! Adding middle school science teachers and including all students would quadruple the number. Clearly, whatever PhysTec coalition is doing, will not help us to solve the problems of a science teachers shortage. The problem even deepens if we take into an account the fact that many teachers do not stay in schools for a long time. that too many of teachers leave the profession, and too few qualified professionals go into the profession. 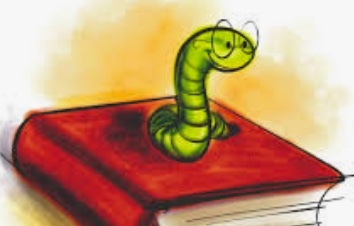 If we assume that our calculations are correct, and The Guardian is right, the focus has to be shifted from teacher preparation to teacher retention and professional development of in-service teachers. The next natural question to ask is why do teachers leave a school? What do we do these days when we need to find an answer to a question? But what does it mean if even Google does not have an answer? It simply means there is no data on this matter; no one publishes on this matter; no one study this matter. I could have been speculating and offering my own opinions, but why would anyone take my speculations seriously? That is why I just stop here. But if anyone would like to share their thoughts, please just post your comment! 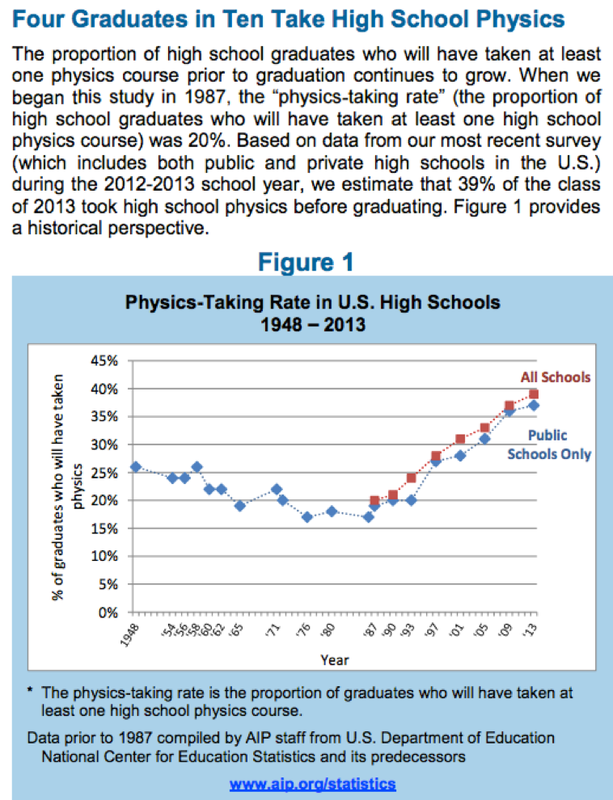 This report examines enrollments in high school physics during the 2012­13 school year. Why do teachers leave? Teacher morale has plummeted in recent years, with educators saying that school reform has made them the scapegoat for problems in public education. According to a Sept. 2016 report by the Learning Policy Institute at Stanford University, most teachers who leave do so because of dissatisfaction ­­ ranging from physical conditions such as class sizes, facilities, and classroom resources ‹ to unhappiness with administrative practices, such as lack of support, classroom autonomy, or input to decisions ‹ to policy issues, such as the effects of testing and accountability. Assessments & accountability measures are the biggest dissatisfactions. Reducing attrition by half could virtually eliminate shortages. Fewer people are entering teacher preparation programs. Enrollments are down 35 percent and graduates dropped by 23 percent between 2009 and 2014. Jane Jackson makes a good point. 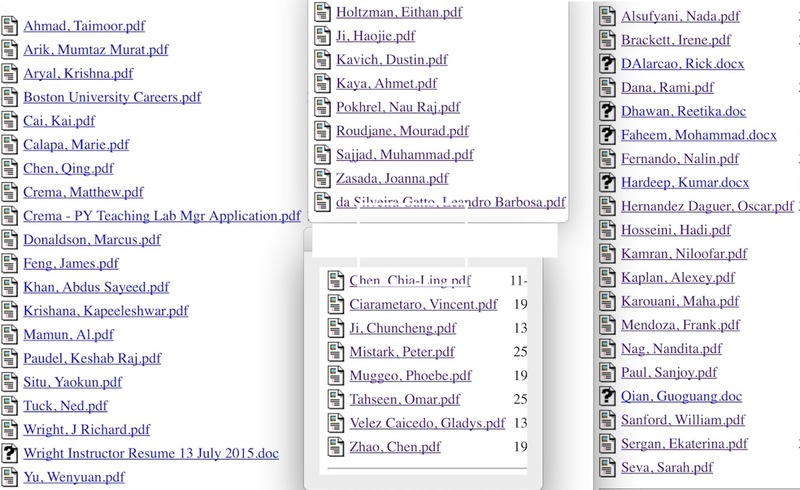 Still, would be useful to see the ranking (!) of the factors of the teacher dissatisfaction. 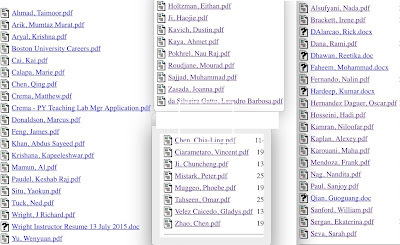 Also, the reports (one of which is this https://learningpolicyinstitute.org/product/solving-teacher-shortage) do not go beyond recommendation which have been offered in many previous reports and document. If those recommendations had not worked in the past, why would they suddenly start working this time? In the 02/10/2017 issue, the Boston Globe printed a piece about prospective foreign students and the change in the mood they started to have (see the picture). As soon as the ban was issued, many industry leaders expressed a strong opposition to it (e.g. http://www.forbes.com/sites/kevinanderton/2017/02/07/the-businesses-against-president-trumps-travel-ban-infographic/#1513a0353867). On February 5, 2017 several large tech companies filed an Amicus Brief (https://app.box.com/s/09dvucfviag1zlwzekupts084xzc8j5g), which says, in part, that the ban: “makes it more difficult and expensive for U.S. companies to recruit, hire, and retain some of the world’s best employees”. It is not difficult to understand the worry the businesses and companies have, because a large part of the employment force they have comes from graduates who have foreign origins. However, when the industry leaders say, that all they want is to be able to have the top talent from all over the world, they do not say the whole truth. The truth is that currently a large part of the U.S. industry is not just looking for the top talent, but is “addicted” to professionals with a foreign origin, in a similar way it – the industry – was not long time ago addicted to the foreign oil. The truth is that without professionals with a foreign origin many industries would be on a brink of collapsing, or at least of a severe downsizing. It is not a news that businesses are in a great need for a highly professional workforce. “According to a 2016 survey of 400 employers from across Massachusetts, 75% said that it was difficult to find people with the right skills to hire in Massachusetts.” “Respondents find deficiencies in the readiness of new hires, not just in “applied skills” like teamwork, critical thinking and communications, but also in simple reading, writing, and math.” These were quotes from a 2016 MassINC Polling Group report, done for Massachusetts Business Roundtable (http://www.mbae.org/wp-content/uploads/2016/11/FINAL-Report-2016-MBAE-Employer-Poll-for-web.pdf). Businesses have to turn to graduates with a foreign origin simply because U.S. colleges do not produce enough graduates with degrees in STEM-related fields. “The number of U.S. citizens and permanent residents earning graduate degrees in science and engineering fell 5 percent in 2014 from its peak in 2008. At the same time, the number of students on temporary visas earning the same degrees soared by 35 percent” (from http://www.usnews.com/news/articles/2016-05-17/more-stem-degrees-going-to-foreign-students). Out recent search for a laboratory manager position attracted a large number of prospective candidates. The positions requires masters degree, but many applicants have a PhD which they got in the U.S., but after getting the masters in their own country. This explains why many industry and business leaders are looking for the ways to lowering barriers for graduates with a student visa preventing them from staying in the U.S. However, there is no similar attention to the root of the problem, i.e. the low number “of U.S. citizens and permanent residents earning graduate degrees in science and engineering”. Imagine just for the moment that the Trump administration did find a way to close the borders in such a way that many prospective foreign students got scared and decided not to go in the U.S. Imagine the worst-case scenario; we all know that despite the best efforts there is a chance for a terrorist to conduct a terror attack on the U.S. soil. If that would happen, the general mood in the country could quickly swing toward the toughening all restrictions for crossing the borders. Without an access to a pool of graduates with a foreign origin, industry and business leaders would have turn to U.S. citizens and permanent residents for filling up many empty professional positions. And then they would find out that U.S. colleges and universities just do not produce the sufficient number of graduates! And its’ not like no one knew the problem. Since 1957 (i.e. since the launch of the Sputnik 1) the U.S. system of education has been in a state of a permanent reformation. The question which industry and business leaders should ask: “Why the Hell after 60 years of reforming education we still cannot rely on our own graduates?” (clearly, in this sentence, to stress my point I used an exaggeration). It is one thing, if you have 100 vacancies, and you have 100 applicants of a foreign origin, and 100 “domestic” applicants. In this case – yes – you are searching for the best talent. But when you have 100 vacancies, 100 applicants of a foreign origin, and 0 qualified “domestic” applicants – it is a clear sign that the system is broken. Obviously, we have to make a conclusion that so far the methods used at all levels of the government and philanthropy to reform education have not worked. If those methods have not worked for such a long period of time, there is not much of a hope they will miraculously start working tomorrow. Maybe, industry and business leaders should not wait until the hypothetical border tightening becomes real, and start rethinking their strategies and approaches related to education, because otherwise the shortage in the highly professional workforce can bring a heavy damage to the U.S. economy. We must make U.S. intellectually independent from importing foreign professionals. We need to treat intellectual health of a country with the same level of urgency we treat physical health of the country. We need to set a goal: to break the U.S. dependence on the foreign intellectuals (in the way the U.S. has become practically independent from the foreign oil). Only then we can say that the U.S. companies truly search for the best talent.